Today's image is presented as proof that you can find interesting Montana-related stuff in the most unlikely of places. 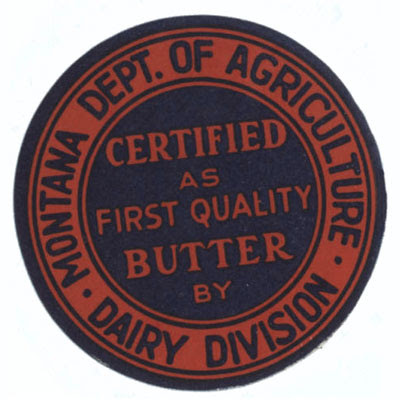 This is a sticker, probably from the 1930s or 1940s, that was probably applied to butter packages to indicate payment of a tax of some sort. I discovered it while browsing something called the "Carter Litchfield Collection on the History of Fatty Materials." Who would have guessed?